Insurance companies are becoming prime targets for security hackers. Hackers farm client information from insurance databases and sell the information to identity thieves in the underground Internet. The information they gain from insurance profiles not only include the client’s personal information but information on whatever insurance they have. This can tell hackers home values, medical expenses, and many other vital statistics. The most lucrative are health information. Hackers can take that information and create falsified insurance cards, and run up thousands of dollars that the insurance company or client must pay. 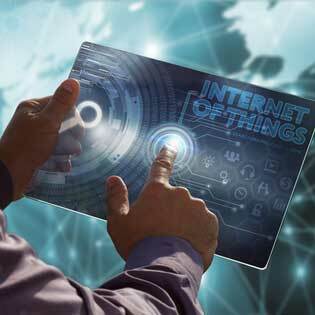 Internet of Things (IoT) is the concept that any device with an IP address has to attach to a network. IoT devices are growing exponentially from watches to glasses, to light bulbs. The medical industry is dumping billions of dollars into IoT equipment to manage quicker operations and keep track of mental health patients. This type of technology is forcing insurance companies to rethink how their policies are affected. All of these devices use wireless technology to transfer information from one point to the other. DDoS attacks are designed to attack a system and flood it with worthless data until the server can’t take it anymore and shuts down. This crash is not the end of the attack. An experienced hacker can cause the DDoS attack to continue after the system is rebooted. DDoS kits can be purchased, and in some cases are free, in the underground Internet. People who have never written a piece of code can get their hands on these and send them to unsecured companies. Nowadays these kits provide a smoke screen for an attack that hits insurance companies in their wallets. Buy the book ‘Easy Prey: How to Protect Your Business From Data Breach, Cybercrime and Employee Fraud’. Many insurance companies, as well as other companies in other industries, are looking toward IT outsourcing to help with the onslaught of ransomware attacks. Ransomware locks up a network and does not allow any access to files or core systems until a ransom is paid, usually through Bitcoin. IT outsourcing companies are better equipped for handling hackers of all experience, and more importantly, they can get your network up and running very quick after an attack. Learn how IT outsourcing can help your insurance office; download the white paper IT as a Utility. Several companies are investing in a type of AI portal that clients can connect to and get answers to commonly asked questions. However, the AI also learns from the client input and betters itself. The problem with this is that the network is accepting and learning from input from users, so what happens if that user is a hacker. What kind of information can be uploaded into the network? Software designers have to be wary about how they secure their code, and what they are willing to accept. As it is now, the virtual assistants will accept pictures and documents from the client. IT outsourcing companies are looking at ways to protect their virtual services to prevent hackers from contaminating the data on their servers. Luckily all of the security issues for 2017 are old news. For the most part, there is nothing new, but the frequency of attacks is becoming elevated. Unfortunately, anti-virus companies cannot create a fix until after things are broken. This is a challenge for IT outsourcing and insurance companies across the globe. Get a free assessment, and find out how TOSS C3 can help protect your network.